I brought a trio of Greek wines to my brother-in-law’s house a week ago. The two red wines were recommended to me by John Fitter but the 2015 Domaine Glinavos, Paleokerisio, Ioannina was a random grab. Not knowing what a “Traditional Semi-sparkling Orange Wine” from Greece would taste like, I just could not resist my curiosity. It is surprisingly round and complex at first. I would almost swear it is an infusion herbs and flowers with wine. It is quite drinkable but is frustrating short in the mouth. The 2011 Kokkinos, Xinomavro, Naoussa smells great and will tempt any fan of maturing Southern Rhone wines. It is firm in the mouth and did not give up the level of mature flavors promised by the nose. Still, it is a wine to try and if you do so I would try double-decanting it. 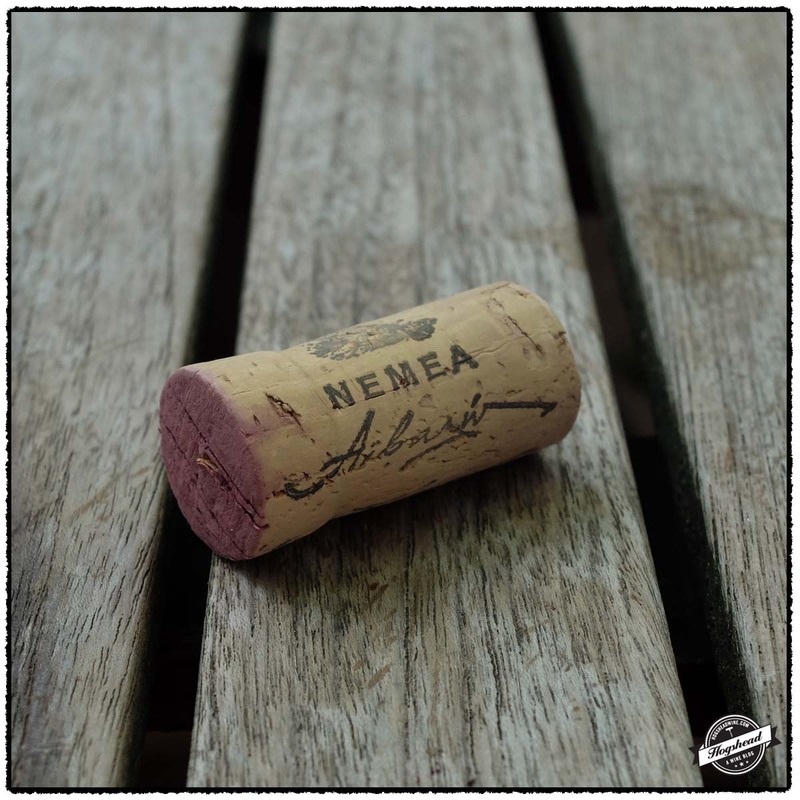 Finally, the 2013 Skouras, Saint George Agiorgitiko, Nemea is a bright, lively blend of red and blue fruit with some oak hints. It is a wine that should please many. These wines are available at MacArthur Beverages. Alcohol 10.5%. Imported by T. Elenteny Imports. It is a cloudy, tawny orange color. There is surprising roundness to the sweet, moderately sparkling start. The flavors are immediately complex blending cardamom, sweet orange juice, and floral notes. There is even a mineral bit. Unfortunately the finish is very short. ** Now. Imported by Oenos. The light volume of maturing aromas are attractive but do not prepare one for the firm red and black fruit in the mouth. There is good flavor, almost like a rather firm Southern Rhone wine. It wraps up with polished wood notes and focused ripe flavors. ** Now – 2020. Imported by Diamond Wine Imports. This wine is 100% Agiorgitiko aged for 12 months in used oak. Alcohol 13.5%. The good nose offers up red and blue fruits with a hint of vanilla. In the mouth is a bright, linear delivery of flavor driven by nearly lively acidity. The structure imposes the linearity but it drinks well right now. ** Now – 2020. For an everyday red Greek wine you cannot do much better than the 2013 Thymiopoulos Vineyards, Xinomavro Young Vines, Naoussa. This floral, black and tart berry fruited wine is best drunk on the first night. The 2011 Domaine Zafeirakis, Limniona, Tyrnavos is progressing since tasted this past summer. It takes several hours for the lifted, citric, red fruit with cream to show best, though it still leaves the impression of tightness. I recommend one more year of age. If you want a change in your routine then grab both of these. These wines are available at MacArthur Beverages. Imported by Athenne Importers. This wine is 100% Xinomavro. Alcohol 13%. 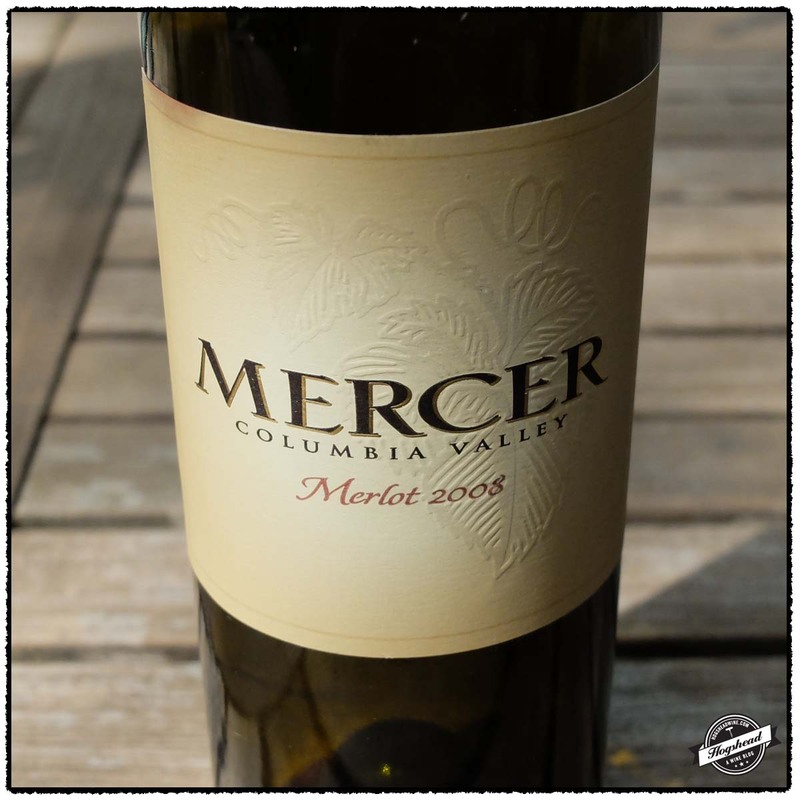 With floral, black fruit that is followed by tart berries, this wine offers plenty of forward drinking flavors. It is a bit dry. Best on the first night. ** Now. Imported by Oenos LLC. This wine is 100% Limniona. Alcohol 13%. The fine nose makes way to primarily red fruit with some black fruit driven by watering acidity. With air the flavors become somewhat rounded with lifted red fruit and citrus notes. As the wine fleshes out it takes on a touch of cream. *** 2017 – 2022. One really should be curious when it comes to trying wines. We bought the 2009 Gruet Winery, Pinot Noir, New Mexico several years ago after trying an even older, well-preserved example. 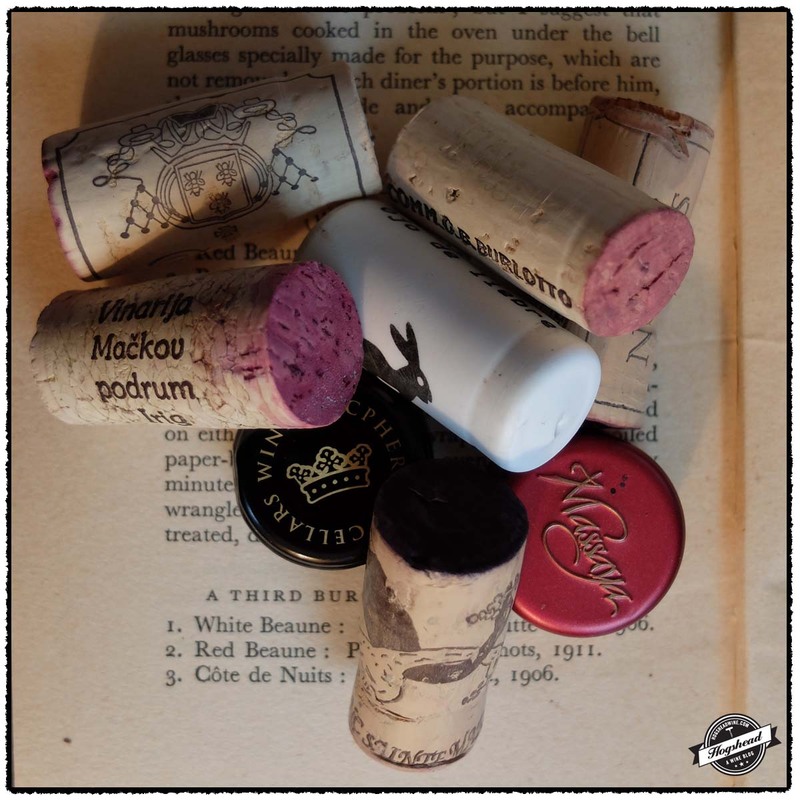 It may seem surprising at first to find Pinot Noir in New Mexico but do remember that Gruet is famous for their sparkling wines, of which Pinot Noir plays a part. Our bottle showed a lot of oak influence on the nose followed by primary cherry fruit in the mouth. This is a solid drinking wine that would be great fun to serve blind at the beginning of a tasting or dinner. From Mexico, the latest vintage of 2010 L.A. Cetto, Petite Sirah, Valle de Guadalupe, Baja California offered solid, modern flavors of dense black fruit. This bottle took a few days to show well which is not surprising given the grape variety. Again, not a mind-blowing wine but another fun wine to serve blind. I would personally be curious to see how it tastes several years from now. 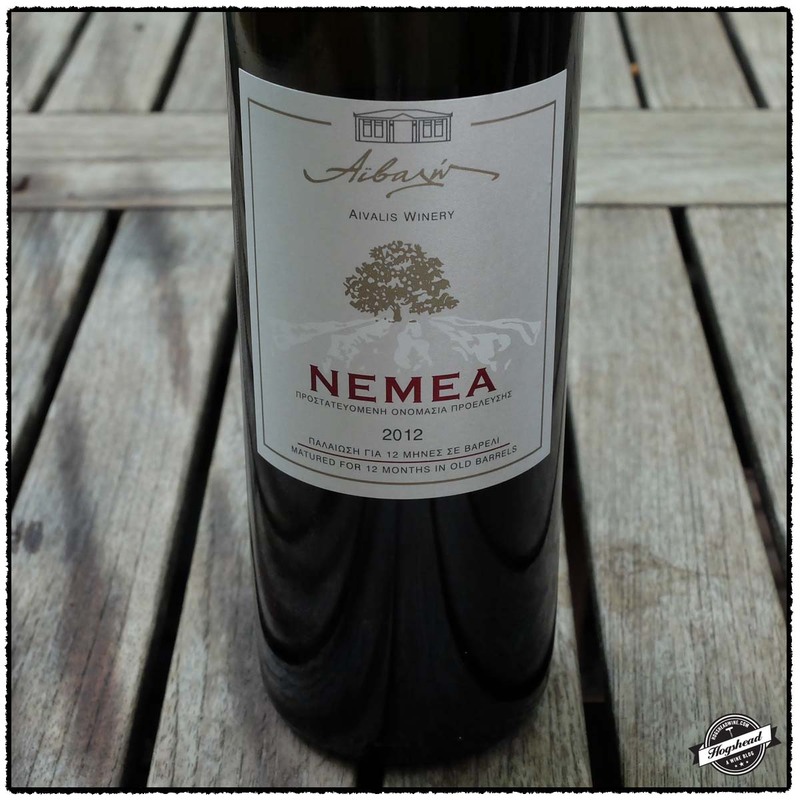 The 2012 Aivalis Wines, Agiorgitiko, Nemea offers plummy, dry, and powerfully structured flavors. The wine is a bit disjointed right now so stick it in the cellar for a year or two. It you must try a bottle now (and most likely in the future) then be sure to accompany it by a big hunk of meat. The L.A. Cetto and Aivalis wines were purchased at MacArthur Beverages. The Gruet was purchased at the winery. This wine is 100% Pinot Noir that was aged for 16+ months in oak barrels. Alcohol ?%. The color was a medium+ red cherry with some garnet. There were good wood aromas on the notes, some sweet spices, and leather. In the mouth were cherry fruits in this balanced wine. The flavors were simple and shorter though the wine has kept well. Eventually a fruity blue and red core came out. No need to hold on but will last for years to come. ** Now-2017. Imported by International Spirits & Wines. Alcohol 13.5%. There were low-lying heady aromas of tart fruit. In the mouth were dense, inky flavors, some ripe, powdery tannins, and fruit that turned blacker. Needs a little time in the cellar. *(*) 2015-2018. Imported by Dionysos Imports. This wine is 100% Agiorgitiko that was fermented in stainless steel then aged for 12 months in 30% new and 70% used French oak barrels. Alcohol 14%. The nose remained plummy. In the mouth were plummy, black fruit flavors that were dry. The acidity was salivating at first then dry, dark tannins came out towards the finish. The structure is rather strong in comparison to the fruit. The finish bore dark fruit that seemed separate from the structure in the end. Needs time to integrate. *(*) 2016-2019. Christos Aivalis is the owner of Aivalis Family Vineyards. He is the fifth generation to grow grapes in his family. He produces wine using fruit from his own and nearby vineyards. These vineyards are located between 250 to 600 meters. He does not employ irrigation and avoids fertilization as much as possible. The grapes are fermented using temperature control, aged in old barrels, then bottled unstabilized and unfiltered. All of this has resulted in a compelling wine. It smells great, is easily drinkable, and should hit its stride this fall. This wine was purchased at MacArthur Beverages. Imported by Dionysos Imports. This wine is 100% Agiorgitiko that was aged for 12 months in old barrels. Alcohol 14%. The nose revealed floral (perhaps violets) blue and black fruit. In the mouth were grapey flavors of purple fruit, some smoke, and a nice structure. The wine was drying as purple and black flavors came out in the finish. It had some salivating acidity. This was best on the first night for it developed more structure with air. **(*) 2014-2017. 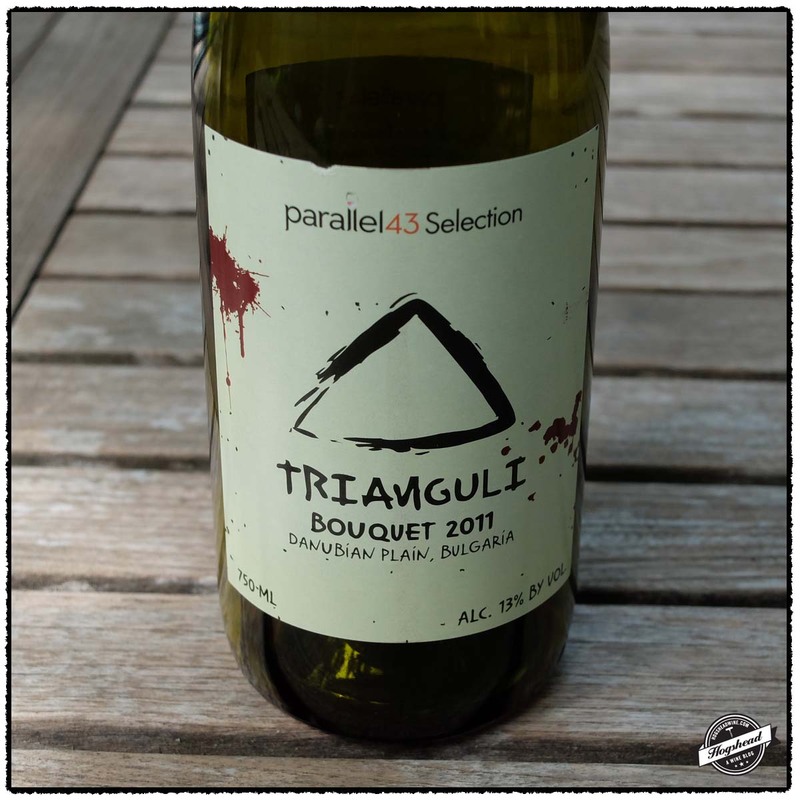 These are several solid wines in this post that deliver regional character at an affordable price. 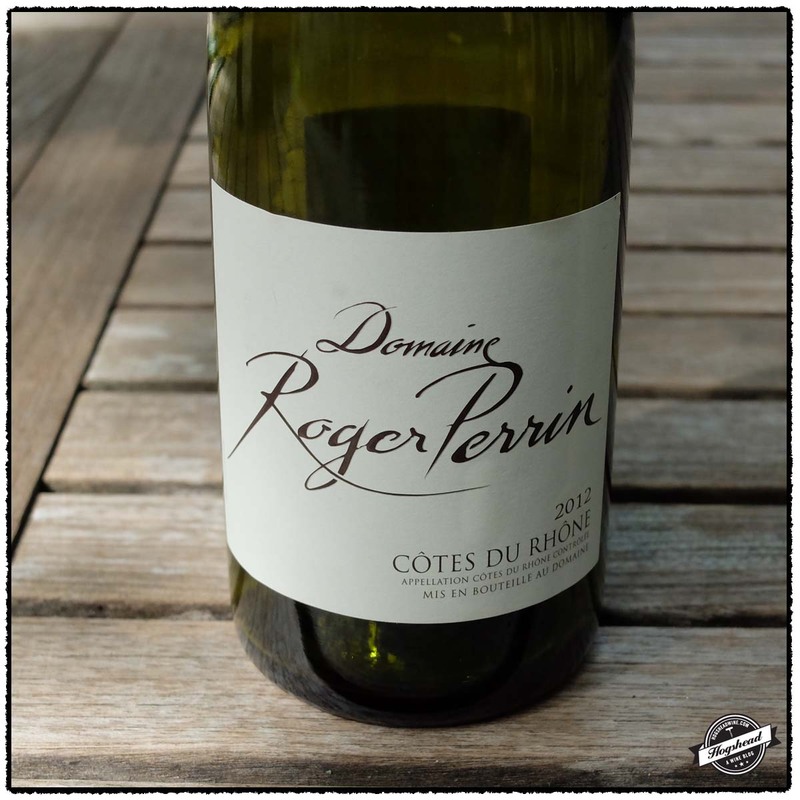 Of those still available I would recommend the 2012 Domaine Roger Perrin, Cotes du Rhone and the 2012 Celler de Capcanes, Mas Donis Barrica, Old Vines, Montsant. Chances are you have seen this pair of wines before so I want to bring the 2012 Tetramythos Wines, Mavro Kalavritino, Achaia to your attention. Tetramythos is a young winery having produced their first wine in 1999 and completed the winery in 2004. I had never tried a wine made from Mavro Kalavritino nor from the Achaia region so I was excited to find I enjoyed this wine. I was particularly attracted to evocations of wild scrubland herbs in the aromas and the flavors. I recommend you try this wine and there really is no excuse not to, it is afterall, only $11. These wines were purchased at MacArthur Beverages. Imported by Robert Kacher Selections. This wine is a blend of mostly Grenache with some Syrah and Mourvedre. Alcohol 14%. The nose bore some blackberry aromas. In the mouth were somewhat compact black fruit flavors, gentle spices, and fresh fruit acidity. It became more robust in the middle with fine tannins in the finish and a dry aftertaste. It opened up with air to show some roundness, a touch of earthy flavors complemented by garrigue, wood, and leather. **(*) 2015-2022. Imported by Eric Solomon European Cellars. Alcohol 14%. There were dense fruit aromas on the nose. In the mouth were dense flavors that leaned towards the red spectrum before becoming black and dry. With air the earthiness reduced but it did show some complexity with a little cherry note in the finish. There was some extract, a little salivating acidity. A solid wine. ** Now-2018. The nose was a modern blend of fruit and chocolate. In the mouth were flavors of controlled ripe fruit, chocolate powder, and hints of both greenhouse and spiciness. There were fine, ripe, powdery tannins and some acidity. This wine had decent flavors for the profile and should remain at this plateau for years. ** Now-2018. Imported by Potomac Selections. Alcohol 13%. The dark red aromas and macerated berries made way to mixed flavors of red and blue fruit. The fruit tastes young. The wine had some minerals, good acidity, and moderate structure which was left on the gums. It had a bit of everything but remained a little tight over two nights. I would wait a few more months before drinking. ** Now-2018. Imported by Dionysos Imports. Alcohol 13%. The attractive nose smelled of scrubland and became a little sweaty. In the mouth were dark red fruit flavors. This was a lighter wine with a dry flavors before a gentle, textured ripeness. There were flavors of wild herbs that mixed with a sense of maturity and watering acidity before the dry finish. This solid wine took up plum and cocoa flavors in the persistent aftertaste. ** Now-2015. Imported by Parallel 43 Selection. This is made from 100% Bouquet which is a crossing between Mavrud and Pinot Noir. Alcohol 13%. The nose bore dark fruit and tightened up with air. In the mouth were modern, black fruit flavors, a hint of black tea, and a citric note in the finish. This is a solid wine that should be aged for several months before trying. *(*) 2014-2018. Wines From France, Greece, Italy, Lebanon, Serbia, and More! 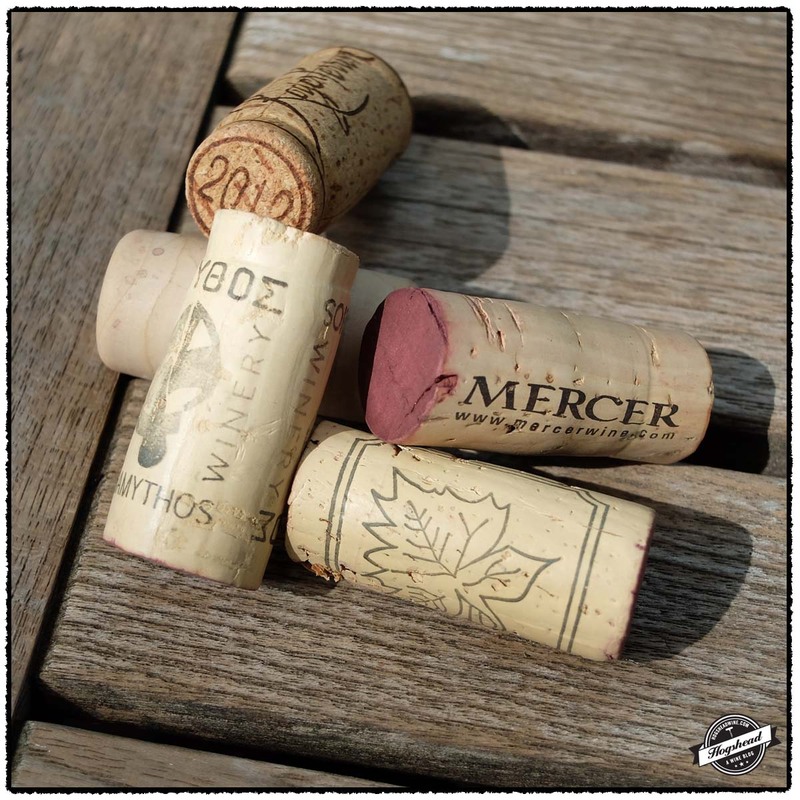 This post features a diverse selections of wines presented in order of preference. The 2012 G.B. 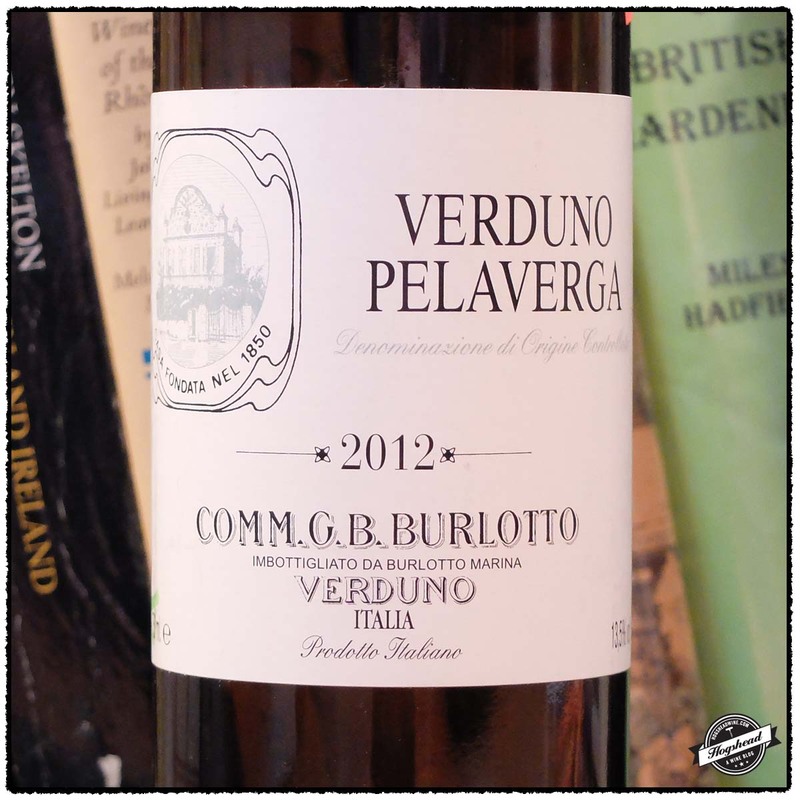 Burlotto, Verduno Pelaverga is interesting not just for its use of the ancient Verduno Pelaverga grape but also its lovely nose of white pepper and intriguing cinnamon note. 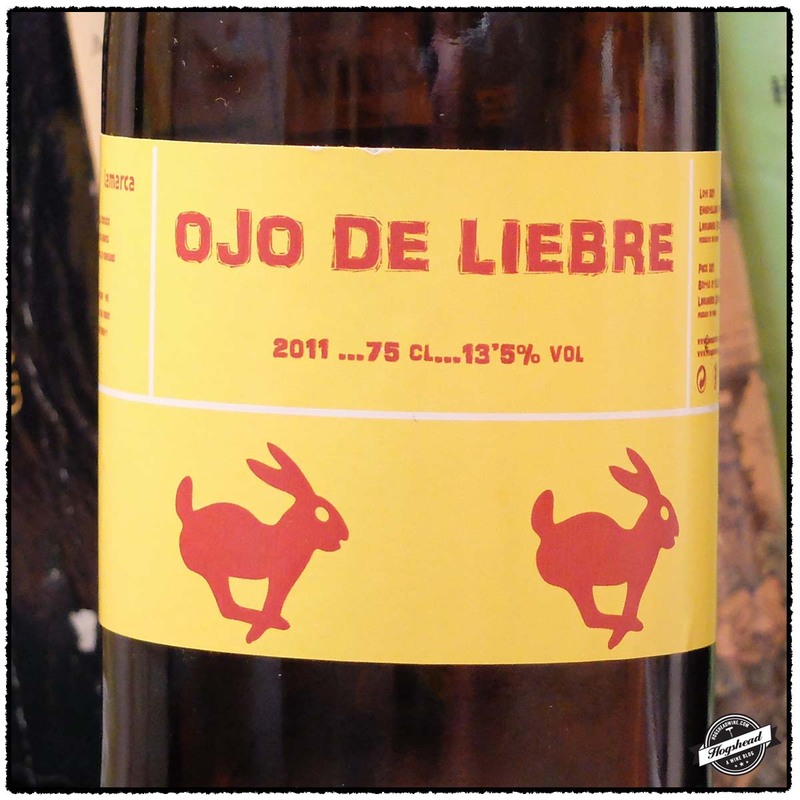 I can attest that I never had a wine from the Somontano DOC until I opened the 2011 Lamarca, Ojo de Liebre, Somontano. It offers blue and black fruit with good structure and minerals at a very attractive price point. 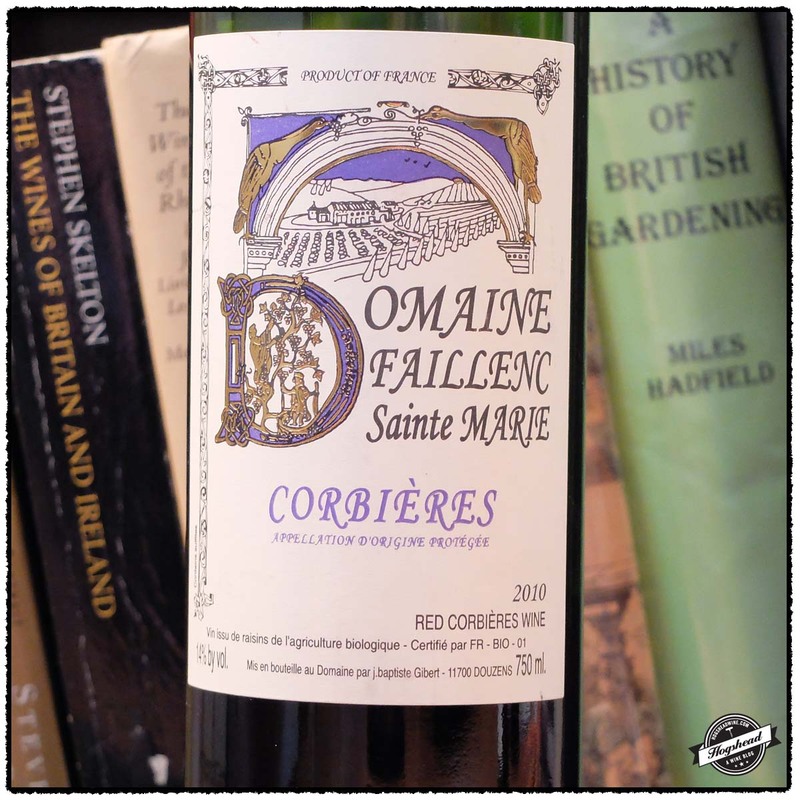 The 2010 Domaine Faillenc Sainte Marie, Corbieres should have broader appeal than the admittedly funky 2009 vintage that I recommended. 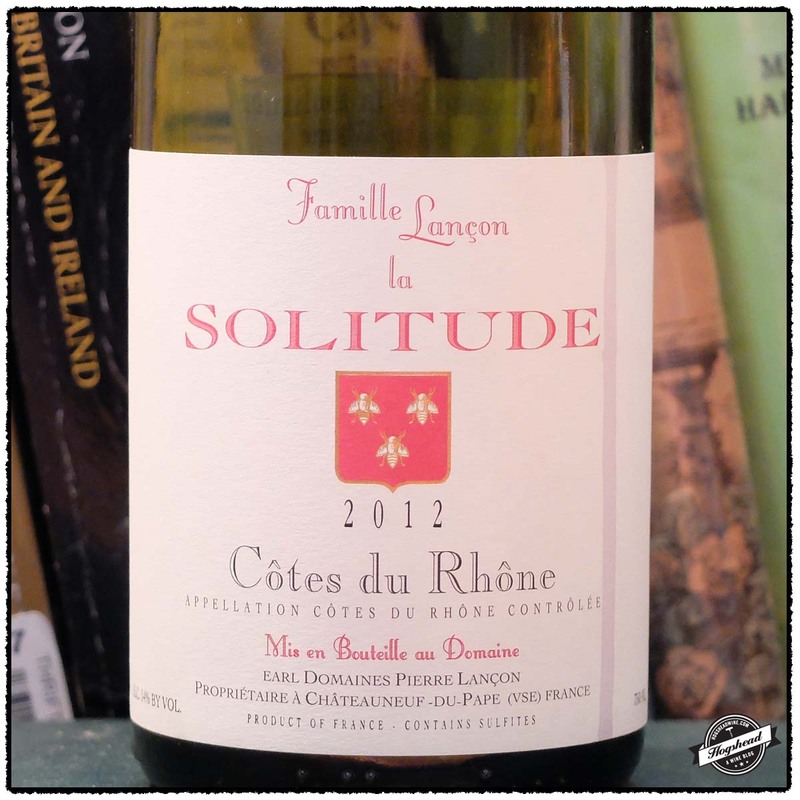 The recently arrived 2012 Famille Lancon a Solitude, Cotes du Rhone is a strong value with its red fruit and hints of earth. You may drink it now but it would be interesting to see what it tastes like next year. 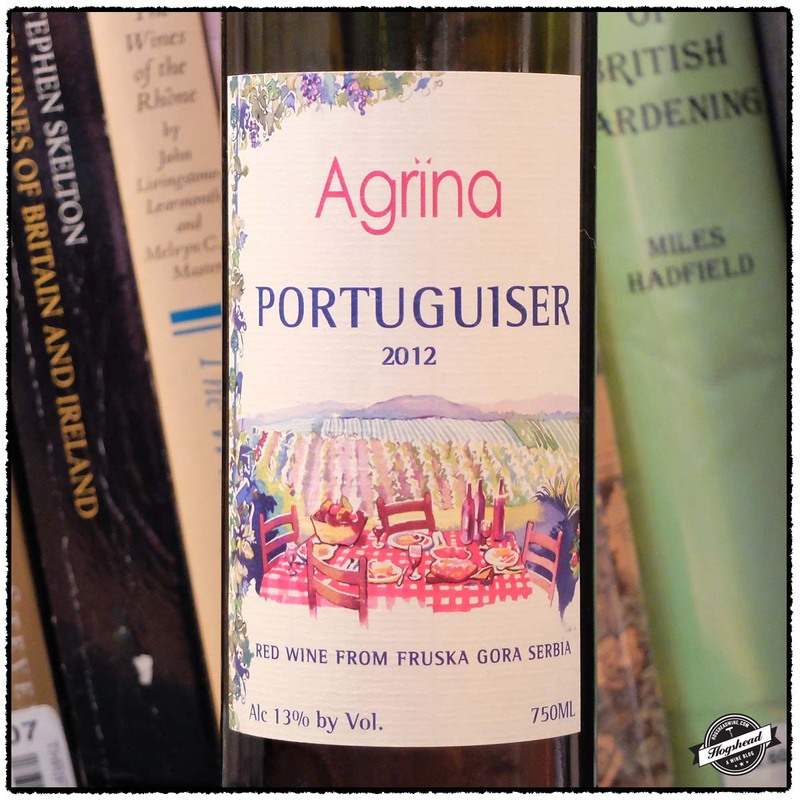 The 2012 Agrina, Portuguiser, Fruska Gora is still a good wine at its price point but lacks the control of the previous vintage. 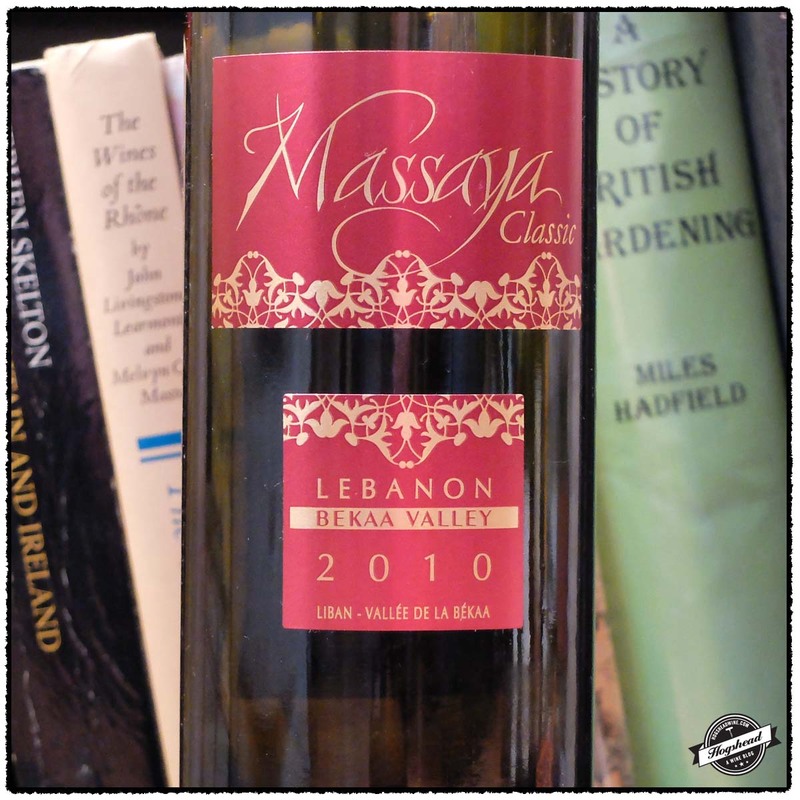 The 2010 Massaya, Classic, Bekaa Valley is another solid value but I still wait for another 2007 equivalent. 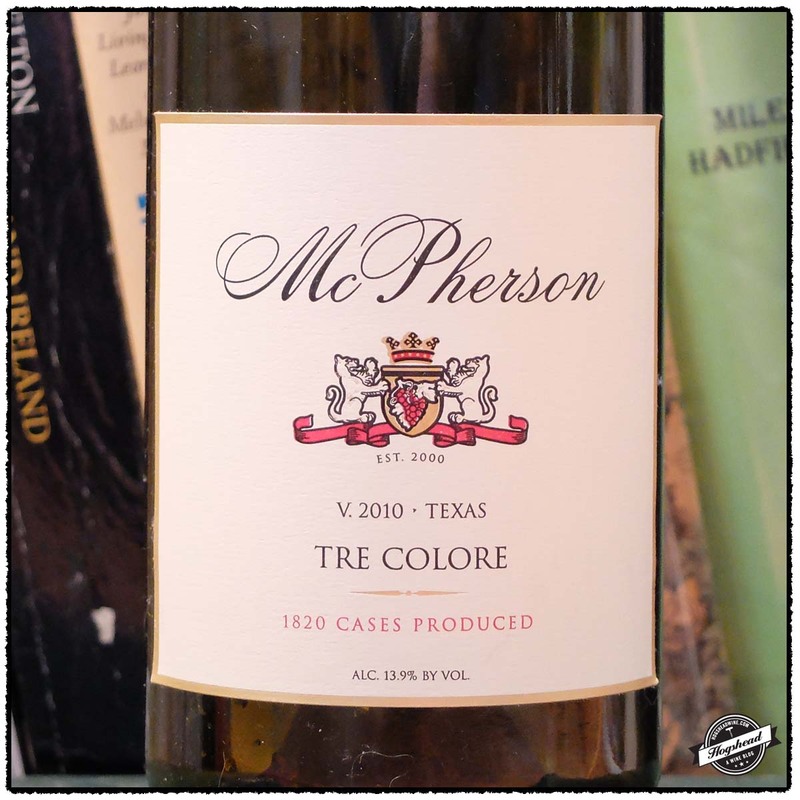 The 2010 McPherson, Tre Colore, Texas was the second wine I have tasted from this estate. If you have not drunk a Texan wine then this is worth the experience. Finally, the 2007 Manousakis Winery, Nostos, Crete was strange and despite the attention, it was dumped. The McPherson was purchased at Cordial Fine Wine and Spirits, I believe the Massaya was purchased at Total Wine and the remaining bottles from MacArthur Beverages. Imported by Elite Wines Imports. This wine is 100% Verduno Pelaverga. Alcohol 13.5%. There were fresh aromas of white pepper and general evocations of Cabernet Franc. In the mouth were tart red flavors, pepper, and a drying nature. The black and red fruit had very moderate grip, some lift, and a hint of dried green herbs. The finish was minerally followed by an intriguing note of cinnamon and ripe fruit in the expansive aftertaste. The flavors turned blacker with air. *** Now-2019. Imported by The Spanish Wine Importers. 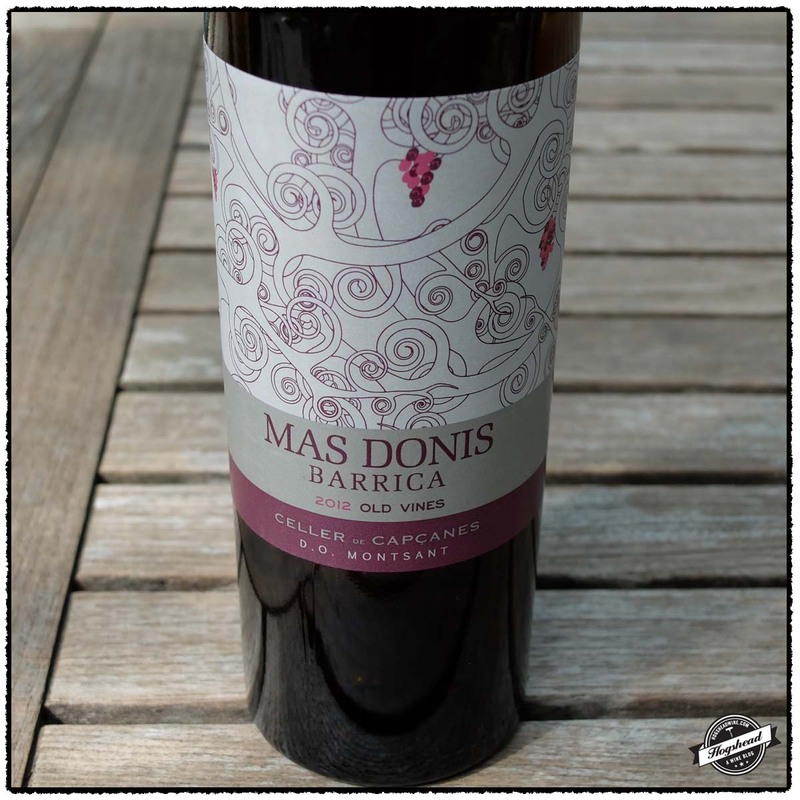 This wine is a blend of 80% Trempranillo and 20% Garnacha aged for 12 months in oak. Alcohol 13.5%. The nose was of sweet, macerated berries and mulberry. The wine developed structure with some extract which counterbalanced the slightly billowy flavors of blue and black fruit. It had very fine tannins, black stones in the finish, and hints of graphite. It became a little savory. Nice wine. *** Now-2019. Imported by Rosenthal Wine Merchants. This wine is a blend of Syrah, Grenache, and Cinsault which were partially destemmed then co-fermented. It was aged in tank. Alcohol 14%. The nose was woodsy with Kirsch and raspberry aromas. The mouth followed the nose and was quite approachable. There was some funky ripe fruit, black minerals, and satisfying round tannins. It became a softer wine with air, blacker with low-lying violets. There was a good finish with firm tannins. *** Now-2017. Imported by Langdon Shiverick. Alcohol 14%. The nose bore delicate ripe aromas of fresh strawberry and cherry. In the mouth were fresh red fruit and cherry that was roundish but had some solidity. The fruit seamlessly mixed with the acidity making way to a ripe and fresh strawberry finish. There was a hint of citrus and a little earth with air. Strong value. ** Now-2017. Imported by Winebow. This wine is 100% Portuguiser. Alcohol 13%. The nose was of ripe strawberries. In the mouth were round, puffy flavors that were quite forward. There was some tang to the wine and texture on the tongue. The tart aftertaste brought some cranberry-strawberry flavors and hints of minerals. A tasty wine but a little too loose. ** Now-2015. Imported by Winebow. This wine is a blend of 60% Cinsault, 20% Cabernet Sauvignon, and 20% Syrah. Alcohol 14.5%. There were more berry and tooty-fruity flavors that had some freshness. With air, there was a spicy bit with acidity on the front-middle of the tongue then black fruit with some minerals before a little grainy, macerated berry flavor came out. A solid wine. ** Now-2015. This wine is a blend of 62% Mourvedre, 27% Carignan, and 11% Viognier. Alcohol 13.9%. There were wafting aromas of macerated berries. Billowy. There was a riper start in the mouth with strawberry notes before the flavors became redder and riper. It turned softer in the short finish. There were no hard edges but could use more acidity for verve. ** Now. Imported by Dionysos Imports. This wine is a blend of Syrah, Mourvedre, Grenache, and Roussanne. Alcohol 14%. There were tangy flavors of red and black fruit. 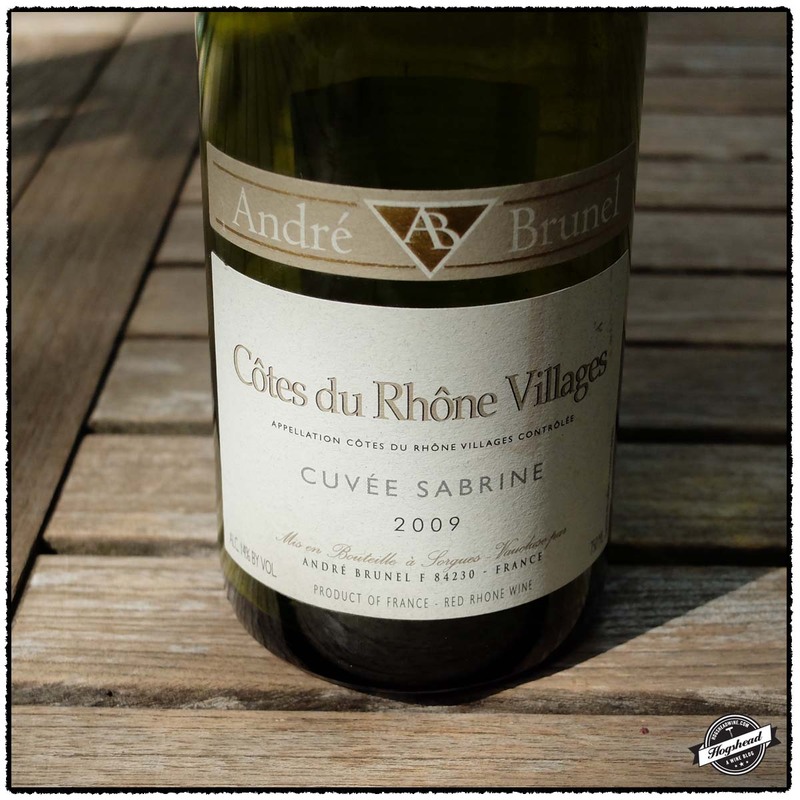 The wine became citric and sharp towards the finish as the acidity became quite noticeable. There were potpourri notes in the aftertaste. On the second night the wine was woodsy and yeasty. Strange. * Now. This post features two radically different examples of Xinomavro both of which you should try. 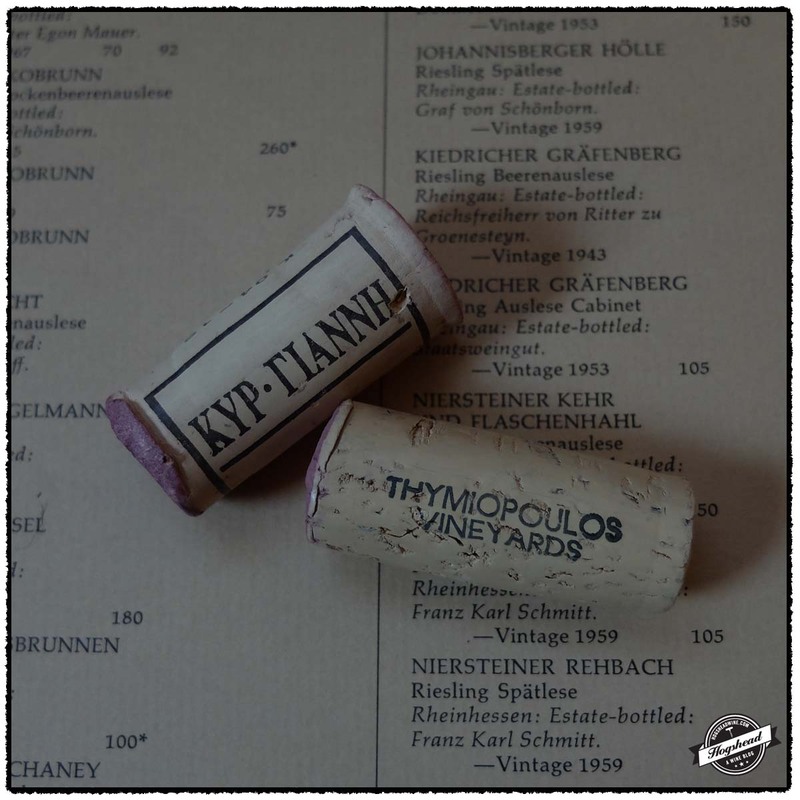 This third vintage of 2012 Thymiopoulus Vineyards, Xinomavro Young Vines that we tasted continues to provide satisfaction from the first glass. I might give an edge to the 2010 vintage but this still deserves to be a part of your daily rotation. 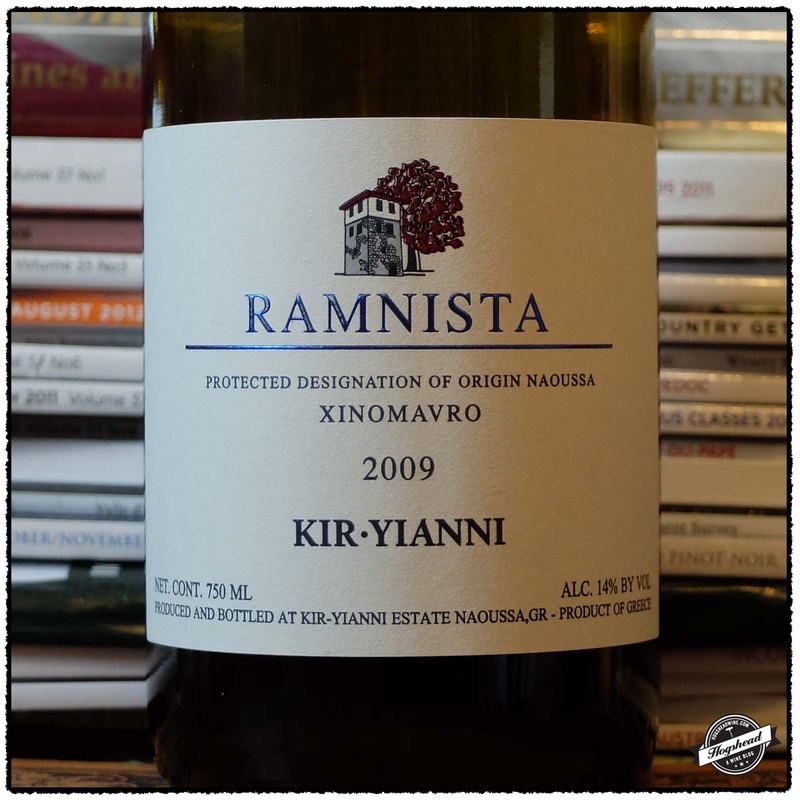 The 2009 Kir-Yianni Estate, Xinomavro, Ramnista has the potential to be really good in several years time. There is an earthy component in the nose and in the mouth which I was strongly attracted to. However, this wine is very young right now. I took my tasting note on the third day but continued to follow the wine for two more days! I would taste this again in a few years to see how it is evolving. These wines are available at MacArthur Beverages. Imported by Athenne Importers & Distributors. Alcohol 13.5%. There was a good nose of fresh and ripe strawberries. In the mouth were red and black fruit, pleasing tannins, and an exotic floral flavor. It had a grapey structure and a little upfront weight to the fresh and ripe fruit. Nice. ** Now-2017. Imported by Dionysos Imports. This wine is 100% Xinomavro sourced from selected blocks on lighter soils. Alcohol 14%. There was a beautiful, earthy nose but in the mouth the flavors were dialed down tight. There were blacker fruit, a hint of earth, and some very fine drying tannins. The wine turned tart with graphite in the finish. Definitely interesting but really needs time. **(*) 2016-2026.